The department of economic affairs is said to be in discussions with various probe agencies, including the income tax department and the Enforcement Directorate, and bankers in drafting the final rules. Image: The move is triggered by beleaguered businessman Vijay Mallya, who is in the UK for nearly a year, being declared a ‘wilful defaulter’ by lenders for non-payment of loans over Rs 9,000 crore by his now-defunct Kingfisher Airlines. Photograph: Reuters. The government is planning to give more teeth to central investigation agencies and bankers under a proposed new rule, which will allow them to “confiscate assets” of economic offenders who have fled the country to escape investigation, without court approval. The move would allow investigators to attach assets of such offenders in the initial phase of investigation unlike existing rules, which take more than two years for the agencies to conclude the probe and be able to seize assets. However, the probe agencies would be required to inform the court after confiscation of assets for further legal procedure. At present, the process of confiscation begins only when central agencies are able to establish “proceed of crime”. This can be only done once the investigation is completed, and even after that the authority can provisionally attach the assets for 180 days only. They also require a court order and it should be confirmed by an independent adjudicating authority. “This would be the first ever attempt by the government to take stringent legal action against those who have fled the country even after a case was registered against them,” said a government official with direct knowledge of the development. “By the time the process of attachment begins, the offender flees the country and we are left with no option but to go through several legal remedies like red corner notices and extradition to deport the person. This provision will strengthen our case and compel the offenders to undergo investigations,” the official added. Jaitley also pointed to economic offenders fleeing the country to escape the reach of law. Based on this, the department of economic affairs is said to be in discussions with various probe agencies, including the income tax department and the Enforcement Directorate, and bankers in drafting the final rules, said a government source privy to the development. The government is also contemplating providing a timeframe to offenders to appear for the investigation, else, their domestic property would be attached and after a certain deadline it could be auctioned too for recovery. Accordingly, these new provisions would be introduced in some of the economic offences laws like the Prevention of Money Laundering Act, Income Tax Act and the Code of Criminal Procedure. A provision is likely to be also included in the Bankruptcy and Insolvency Code. All the authorities, including banks, have been asked to provide lists of such offenders who have escaped probes in various big matters, said one of the officials quoted above. “This is a very good step and will bring a sense of fear to wilful defaulters and manipulators. It would be appropriate to bring a provision in the bankruptcy and insolvency law for judicially deciding the matter. The confiscation of assets will be limited to individuals who have guaranteed the loan personally or are responsible for diversion of funds,” said Vinod Jain, a chartered accountant and a member of a high-powered advisory committee set up to simplify income tax law by the government. 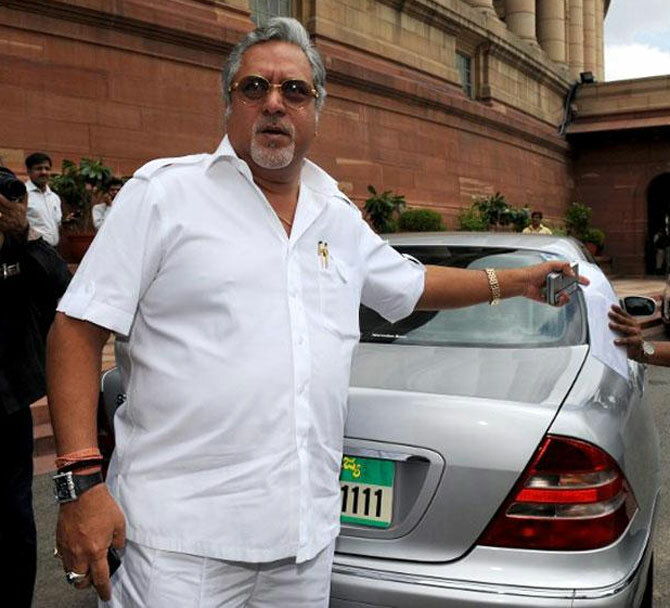 The move is triggered by beleaguered businessman Vijay Mallya, who is in the UK for nearly a year, being declared a ‘wilful defaulter’ by lenders for non-payment of loans over Rs 9,000 crore by his now-defunct Kingfisher Airlines. Mallya’s story is no different from former Indian Premier League commissioner Lalit Modi, preacher Zakir Naik, former government official Nitish Thakur and others who managed to escape probes. He's fascinated by white-collar crimes!